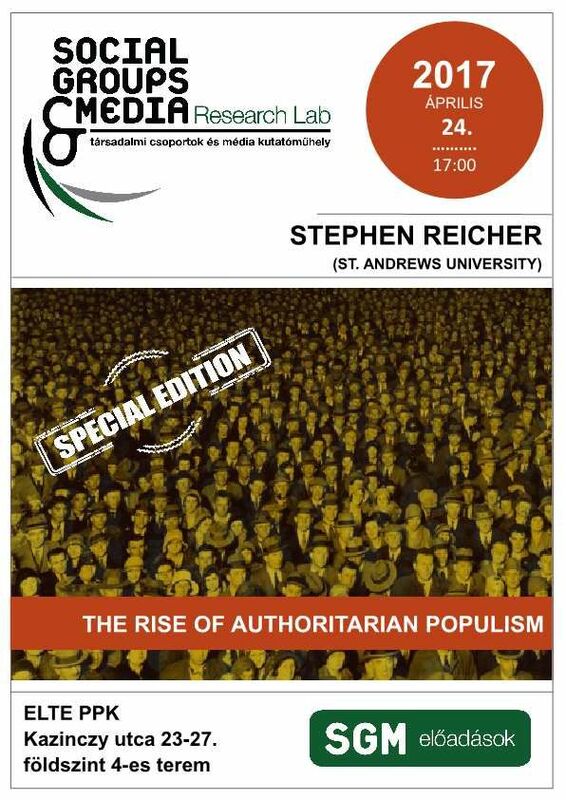 Stephen Reicher: The Rise of Authoritarian Populism - Faculty of Education and Psychology . :: www.ppk.elte.hu :: NEWS ::. Date: 24th of April 2017. 5 pm. Stephen Reicher (Univeristy of St. Andrews) is one of the co-authors of the original statement of self-categorisation theory. He has developed the social identity analysis of deindividuation and of crowd psychology. He has published extensively on social movements and mass mobilisation.